For a swimming beginner, which are the initial skills that he/she must acquire before further professional skills are introduced? 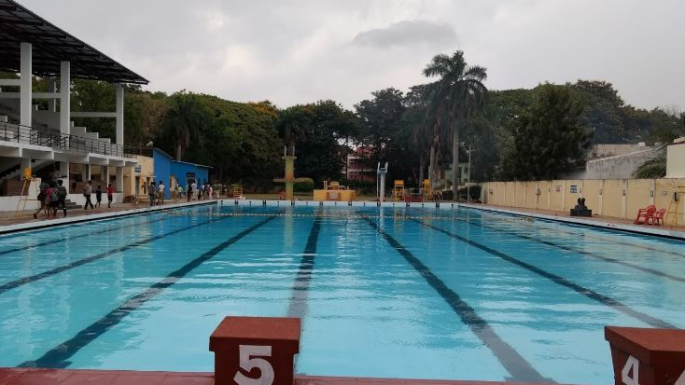 Swimming is rather an underrated sport in India and children are only sent to learn swimming during their summer holidays or any other vacations. I’ve been born in the same kind of family where they insisted me to learn swimming, coz it becomes necessary when you go on Family trips to hotels and resorts where you have a big, classy swimming pool and you need to stand first in the race against your cousins. The basic freestyle stroke is all they teach and all I know, but the main point in learning it was just for emergency rescue in any fallen condition. But, swimming as a profession needs dedication and skill. I’ve few friends who are national and state level swimmers and their styles are way improved with more skills as compared to a beginner like me. So, which initial skills must beginners acquire before further skills are introduced? buoyancy, breaststroke, mobility, water play, stroke technique, water familiarisation, sculling, compatibility. Please educate! This was the swimming institute (Mysore University) where I learnt swimming. Please do share pictures of your memories associated with swimming. Many kids develop fear of water if they are forced into water and when techniques are taught too fast too early. Even today I see some coaches in India pushing the kid into the water and believing that the child will overcome fear and learn to swim based on survival instincts. This, I feel is a very bad way to teach someone to swim. I think water play / familiarization (splashing, wading, paddling) is a good starting point. Once the child enjoys being in the water then breathing technique and buoyancy should be introduced. All the swimming styles and techniques can then be taught and mastered gradually. 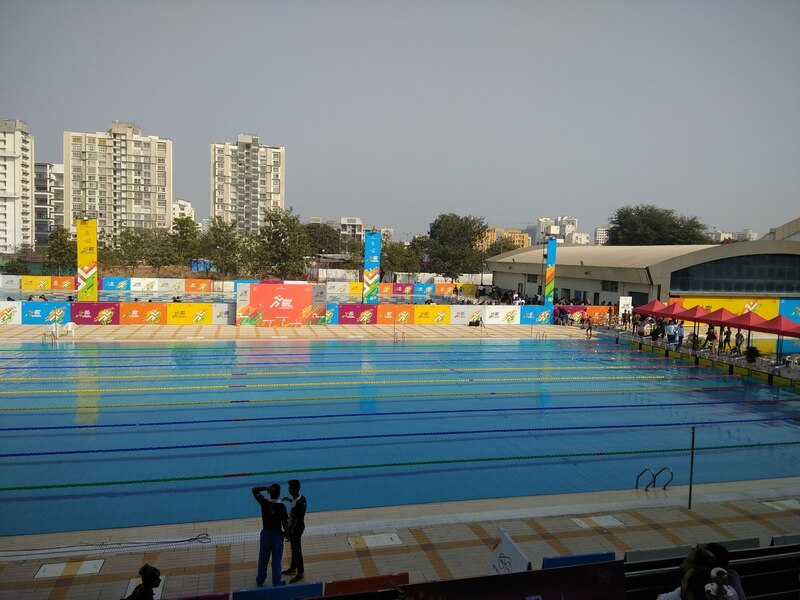 Pune has a good international level swimming facility at Balewadi Sports complex. I had been there during the Khelo India Games in January this year and it was great to see young swimmers from all over India competing at this facility.